2 Bedroom Terraced House For Sale in Tavistock for Guide Price £170,000. 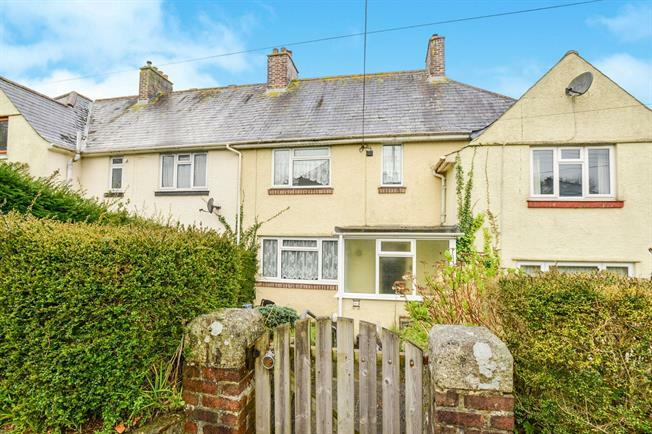 FEATURED IN THE BIG OPEN HOUSE No Onward Chain Offered with no onward chain this mid terraced two bedroom property is within walking distance of Tavistock town centre, with a south facing garden and wonderful panoramic views. The light and airy property briefly comprises of entrance porch, lounge, dining room, kitchen, conservatory, two double bedrooms and family bathroom. The property benefits from uPVC double glazing throughout. Mix of matching wall and base units, stainless steel sink and drainer, plumbing for washing machine, dual aspect windows to rear. Upvc windows to rear, over looking garden and views across Tavistock. Panelled bath with shower over, low level WC, Wash hand basin, uPVC obscure glass window to rear.